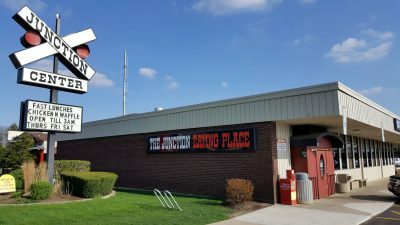 A well-known landmark in DeKalb, The Junction Center offers a prime location on West Lincoln Highway adjacent to Northern Illinois University and to the $36 million multipurpose Convocation Center. The Junction is an appealing place to shop. It features a unique railway theme, which includes railway cars, switches, lanterns, freight wagons and a caboose. The Site provides clear visibility of all shops, ample, convenient parking and an existing tenant mix that draws customers from morning thru the evening hours. The Junction includes 17 shops in an area of 50,000 sq. ft. Initially constructed in 1969; phase two was added in 1979. Existing retail plus service tenant base provides a stable business environment. Many of the present tenants have been at the same location for over ten years and some over thirty years. Contact us today for more information about this excellent leasing opportunity!